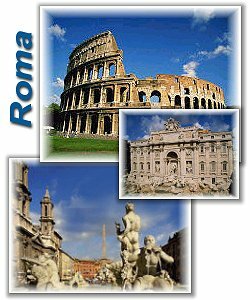 Roma demands so much of your time and concentration that most tourist forget the city is part of the Lazio region. Declared a region in 1934, the Lazio area has, since ancient Roman times, been an extension of Roma. Through the ages, the rich built their villas in the Lazio contryside and many towns developed as the fiefs of noble Roman families (Orsini, Barberini, Farnese). Even today, Romans build their weekend and holiday homes in the picturesque areas of the region and Romans continue to migrate from their chaotic and polluted city to live in the Lazio countryside. This means the region is relatively weel- served by public trasport, and tourists can take advantage of this to visit places of interest. While the region does not abound in major tourist destinations, it does offer some worthwhile day trips from the city. A tour of Etruria, yhe ancient land of the Etruscans, which extended into northern Lazio, is highly recommended. Visits to the tombs and museums at Cerveteri and Tarquinia provide a fascinating insight into Etruscan civilisation.There are some hill-top towns suth of Roma which are worth visiting, such as Agnani (and the remarkable frescoes in its Romanesque cathedral), Alatri and those of the Castelli Romani in the hills just past Roma's outskirts. People interested in Italy's involvement in WWII might want to visit Monte Cassino, the scene of a major battle during the dying stages of the war. If you have your own transport, try to avoid day trips out of Roma on Sunday durind summer. On your return in the evening you are likely to find yourself in traffic jams extending for a many km, even on the autostrada.